2"First Sobell taught people how to use Linux . . . now he teaches you the power of Linux. 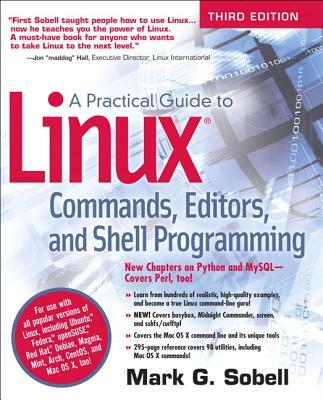 A must-have book for anyone who wants to take Linux to the next level." Linux is today's dominant Internet server platform. System administrators and Web developers need deep Linux fluency, including expert knowledge of shells and the command line. This is the only guide with everything you need to achieve that level of Linux mastery. Renowned Linux expert Mark Sobell has brought together comprehensive, insightful guidance on the tools sysadmins, developers, and power users need most, and has created an outstanding day-to-day reference. Use a Mac? You'll find coverage of the Mac OS X command line, including OS X-only tools and utilities other Linux/UNIX titles ignore. Sobell presents a new MySQL chapter. There's even an expert introduction to Python-today's most valuable tool for automating complex, time-consuming administration tasks.